This report examines grantmaking in 2014 and 2015 for Latin America by large U.S.foundations, with a closer look at philanthropy for Central America. 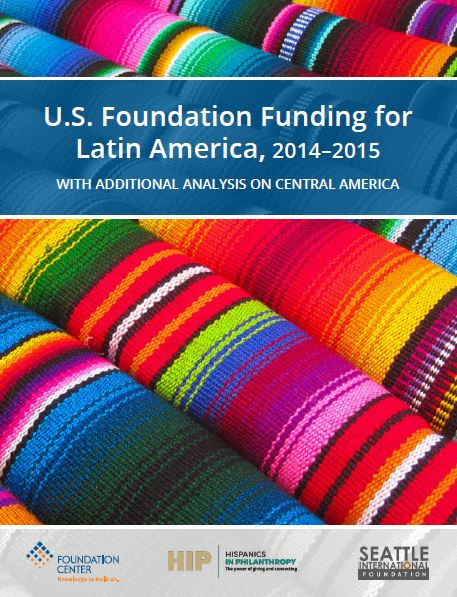 This research brief provides a glimpse at funding by U.S. foundations for Latin America between 2010 and 2012, with a special focus on Central America. The following analysis includes grants awarded directly to organizations in Latin America for work in the region or other parts of the world, as well as support to organizations in the U.S. and abroad with international programs targeting Latin America.